A Field Programmable Gate Array is an integrated circuit that can be programmed after being fabricated by a user to execute a specific set of instructions. It was named the field programmable array tag since it can be programmed in the field and used for a wide variety of purposes. 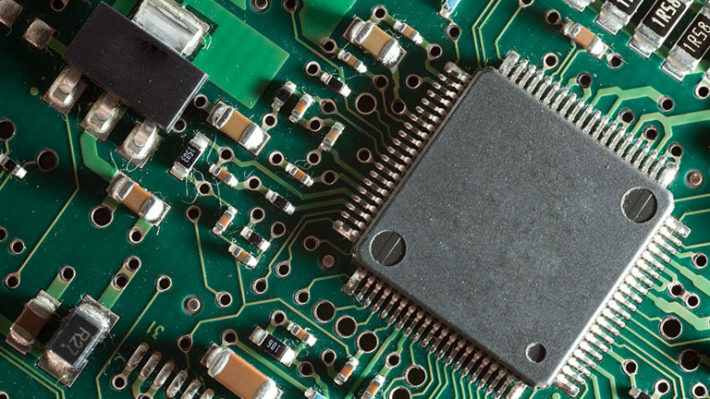 Before the development of the FPGA, ICs were being fabricated to serve specific purposes, and this was not the best way to go since these circuits were rendered useless once their task was accomplished, leading to electronic waste. The ICs were being programmed at the design stage and could not be used for anything else. FPGAs are designed using an array of programmable logic gates and a couple of interconnection interfaces that give one the chance to connect the gate in varying configurations. These blocks can be configured to perform functions as simple as the ones performed by the simple logic gates all the way to the complex and more detailed tasks. Depending on a specific brand of FPGA, they are suited to allow several configuration modes and can support various programming languages. One of the most common of IC types that exists in the market today is the ASIC, acronym for Application Specific Integrated Circuits. These devices are designed for specific applications, and they are also suited for their range of applications where concerns over device integrity should be taken into consideration. It has been mentioned that FPGAs are designed using a series of interconnected programmable logic blocks. This design method takes advantage of hardware parallelism which enable these devices to have a higher computing power at a smaller size. Hardware parallelism is a modern design trend and it is seen from computers which consist of four parallel processors that are used to achieve a higher computing power. Parallel designs enable faster processing of digital signals and the tasks are executed sequentially, something that helps to achieve a better per clock cycle. FPGAs are able to offer a much better performance in most applications and this makes them perfect for applications that require this power and speed. Every engineer will attest that cost is always a significant consideration when selecting components needed for any project. Compared to similar ICs or ones that perform the same function, you will realize that investing in FPGAs is a much more economical way of going about your designs. Starting from the design stage, it is evident that the non-recurring cost of developing the custom-made ASIC designs is much more than that of designing FPGAs. While ASICs are suitable for specific applications, it is vital to understand that system requirements are always changing and the cost or replacing FPGAs is negligible as the system changes since all you have to do is to reprogram the IC and make it suitable to the new application. In the engineering world, time is an important concern especially when it comes to designing and testing prototypes that need to be implemented. More designers are always coming up and if your maker cannot come up with a design and ensure that it works within a set timeline, they will be bypassed by competitors. 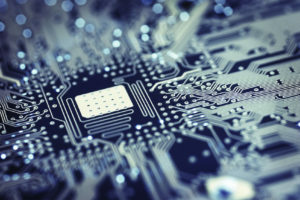 FPGA technology offers the flexibility needed to come up with designs and test them in hardware without having to fabricate an entirely new IC or even ordering a custom-made ASIC from the manufacturers. It has been mentioned that FPGAs can be upgraded in the field and do not require new designs with changing system requirements. Digital communication applications are characterized by the ever-changing protocols that may lead to maintenance problems if the ICs used do not have the required flexibility. FPGA chips are reconfigurable, and this makes it easier to maintain and upgrade the systems without having to involve oneself with the hectic work of redesigning the entire hardware or even changing the board layout. While FPGAs offer some flexibility when it comes to their programming, their hard circuitry is designed in such a way that the different hardware components are dedicated to performing the allocated tasks. This is more reliable as opposed to the Operation System based microprocessors that have several layers of abstraction that help to plan for the processes and how they are to be executed. These processors can only perform one instruction at a time in a preemptive manner, and this leads to some reliability concerns that are not seen with the FPGAs. It has been seen that using FPGA technology gives your average maker a host of benefits that they would not have enjoyed had they opted for the ASICs or the conventional microprocessors. The adoption of this technology is on the rise, and most technological giants are adopting it for their designs. It is no surprise that the FPGA devices are being used in various critical areas such as the design of security systems and medical applications today. FPGAs are a perfect designers device, and though they might have their share of disadvantages, they are suited for several purposes and do not limit a maker to anything when designing and implementing these designs.